A strong and skilful champion, Vic Barwick was amongst the earliest Tasmanians to make a significant impact in Victorian football, and was a key contributor during St. Kilda’s first period of success in the VFL. Born in 1879 in the west coast mining community of Queenstown, Barwick began his football career with local club Linton, and before long his reputation was such that he was approached by VFL club St. Kilda. The Saints had endured a pitiful start to their time in the VFL – winning just two of their first 99 games – and as a result the club’s committee had decided that a proactive and ambitious recruiting strategy – which had already netted the club champion Melbourne ruckman Vic Cumberland – may go some way in transforming the Saints into a competitive outfit. Barwick agreed to go, and the 24-year old made his way across Bass Strait to join St. Kilda for the 1903 season; in doing so, Barwick became one of the very few Tasmanians recruited directly to the VFL from outside of the state’s three major regional competitions. The move paid instant dividends for both player and club, as St. Kilda won seven games in the 1903 season to avoid the wooden spoon for the first time. Barwick’s own form was a revelation, quickly establishing himself as not only one of the Saints’ most influential players, but also one of the finest rovers in the league. His flawless short passing, great elusiveness and outstanding football brain were all considered his strengths by contemporaries, however the most surprising aspect of his success was his size; at 5’8” and nearly 13 stone (177cm and 81kg) he was physically much larger than most rovers of his era. Nevertheless, Barwick’s standing within both his club and the competition as a whole continued to grow rapidly, to the point that he was afforded representative honours for Victoria (against WA) in only his second season, and the captaincy of St. Kilda in his third. 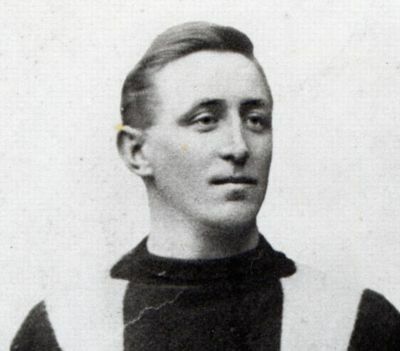 After seven seasons with St. Kilda, during which time he became only the second player to reach 100 games for the Saints, Barwick departed the club at the end the 1909 season to join VFA newcomers Brighton. Despite his best efforts, Barwick was never able to help lift the club into the finals during any of his three seasons there, and in 1913 Barwick returned to St. Kilda. Unfortunately, the now 34-year old’s best days as a footballer were behind him, and he managed just one senior appearance for the year as St. Kilda ultimately went on to appear in their first Grand Final, falling to Fitzroy by 13 points. Despite this, Barwick’s legacy as one of St. Kilda’s early greats was already secure, with legendary teammate Dave McNamara describing Barwick as “a true champion” and “first amongst rovers” whom he had seen. Barwick remained in Victoria after his retirement. He maintained his passion for the game for the rest of his life, in particular becoming a keen student of the laws and how the game was officiated. He also never forgot his Tasmanian roots, returning the state on several occasions over the years and often commenting on the fortunes and talents of other Tasmanians who had gone on to VFL football. Vic Barwick passed away in 1963 at the age of 84.